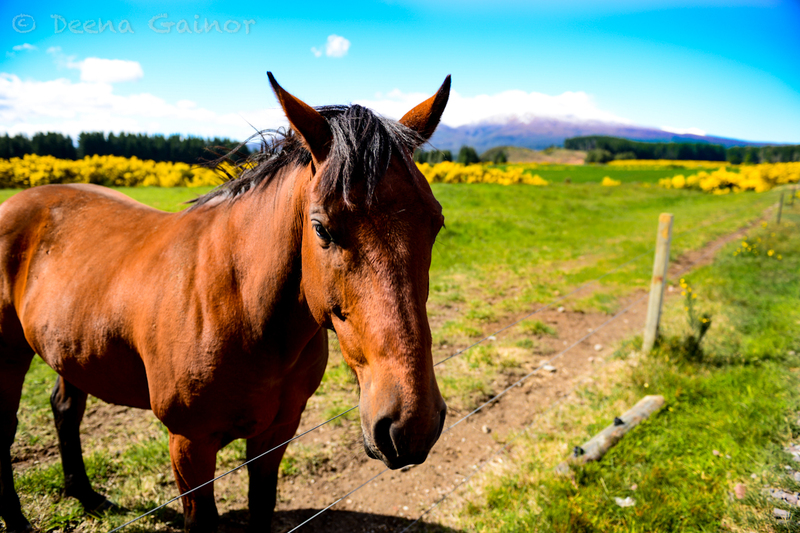 Tongariro National Park is a fabulous destination and definitely one to put on your list! There are several short walks, even trails that lead to waterfalls. 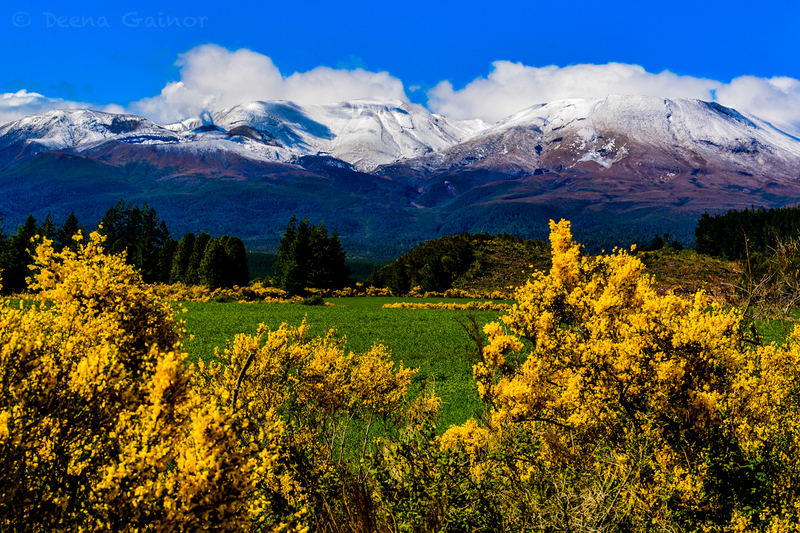 And then there’s the more famous “Tongariro Alpine Crossing” which goes from one end of the park to the other, and can take between five to eight hours to complete. The trails offer stunning vistas and you’ll even recognize areas from the Hobbit and Lord of the Rings, as many scenes were filmed here. We were not able to do the complete crossing, so I’ll reserve my comments on that (obviously) but I’ll share a few photos and comments on our day at this gorgeous park. First…spectacular views wherever you look! Seriously! 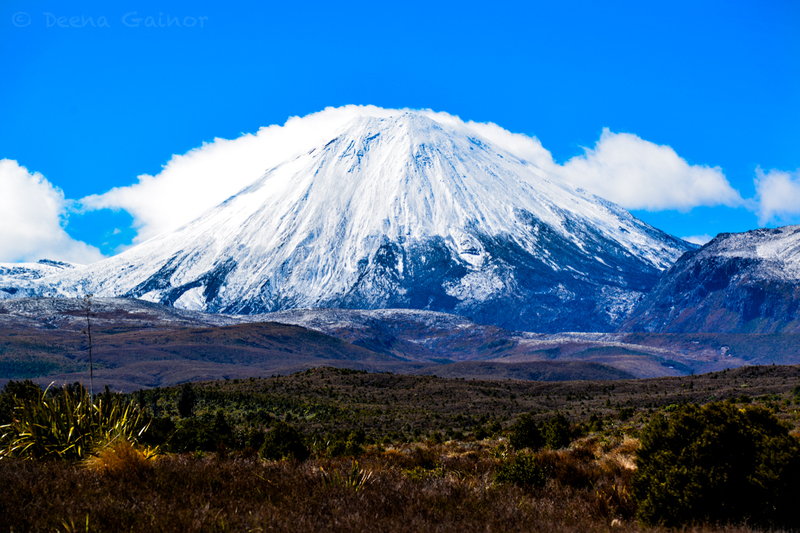 Do you recognize Mount Doom? While driving through, we stopped to take photos and were approached by this guy and his buddy (not photographed). They were incredibly friendly and trusting, allowing us to touch and pet them. This made our day, as we are all horse lovers. 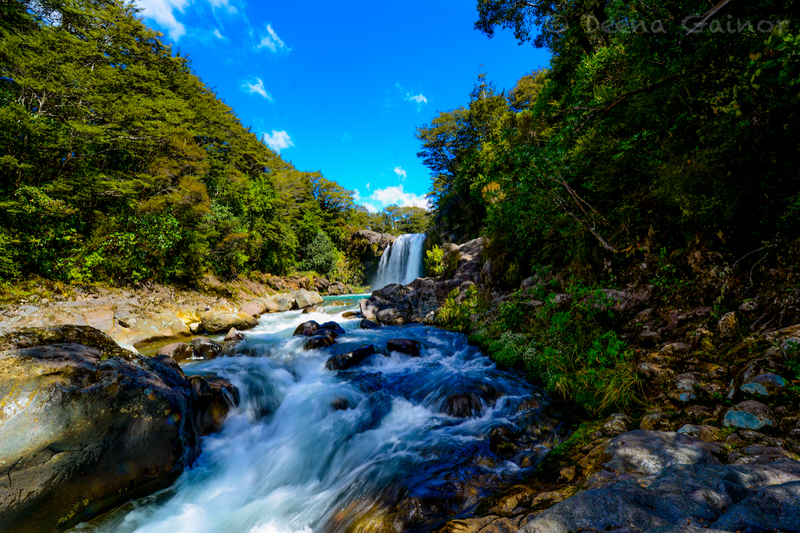 Beautiful treks that lead to gorgeous waterfalls. And of course, ending our day in the typical Gainor fashion, with some hot chocolate!